As explained in a previous post, I didn't mean to find a boat so soon. But when I found s/v Bella on the Milwaukee Craigslist, she sounded too good to be true, but after talking to the owner for a while on the phone, she sounded more true than too good. I had to see her. 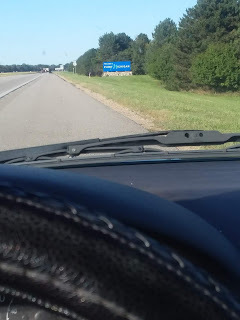 On a random Thursday last December, I was home for a couple days from my truck driving and arranged to meet the owner in Milwaukee on his lunch hour. It was 11 degrees in Hudsonville when I woke, 3 degrees in Milwaukee. By the time I drove through Chicago and around the lake to Milwaukee, it managed to get to 11 or 12 degrees there. It was love at first sight. I struggled to not try and buy her right then. Bottom paint is made to wear off and most older used boats have a splotchy bottom as more paint was just splashed on. 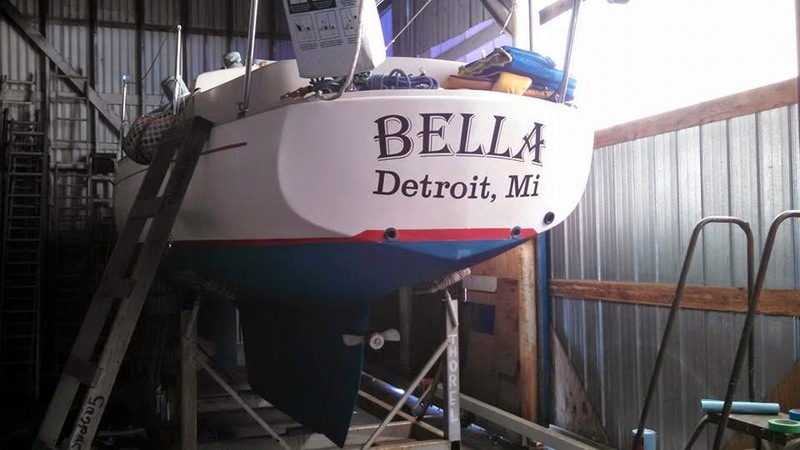 The previous owner (PO) was wet sanding the Bella's bottom paint every fall! From the water line down, she looked like a brand new boat. Then looking up toward the deck, I saw double lifelines - uncoated double lifelines! This will mean nothing to a landlubber, but double lifelines is something only a serious sailor would do. Further, pretty white vinyl covered lifelines are very popular because they “look nice.” However, stainless steel corrodes more seriously when in a limited oxygen environment. Coated lifelines are likely to wick moisture up under that pretty coating and corrode. And the coating prevents you from seeing the corrosion as it progresses. Then during some bad day sailing when you fall on the lifelines expecting them to help keep you on board and they just don't. Uncoated lifelines allow a skipper to keep an eye on the condition of his lifelines - pretty be damned. Most of the rest of the tour of "my next boat" was simply confirming the details in the ad and the personality of the PO. You could eat off the engine compartment floor. All the interior lights and the navigation lights outside are converted to LED lights. There is a HUGE inventory of sails - two furling jibs, five hank jibs, a spinnaker and two mains; many in new condition. There are three anchors, the main anchor with way more chain than typical. The interior is mostly original but in great shape. The running rigging (the lines that move sails, etc) was new in 2009. There was $2500 or $3000 worth of upgrades and improvements that I would make on any random used boat that were already done. The radio is a relatively new Standard Horizon brand VHF that includes GPS and AIS. The GPS is similar to a car GPS without the streets, it simply shows latitude and longitude. AIS is a system for identifying other vessels. Landlubbers might be familiar with the concept because of the movie “Top Gun.” Fighter jets have transponders so that ‘friend’ or ‘foe’ can be tracked in the navigation system. Large ships and other commercial vessels on the water have been equipped with similar transponders. With a receiver like Bella’s radio, the name, call sign, heading and speed of the larger vessels can be tracked. I’ve carried around a book for several years called “Twenty Small Sailboats to Take You Anywhere” by John Vigor. His review is reproduced here. s/v Bella is an Albin Vega, a Swedish built, offshore capable boat that ranks highly in Vigor’s book. I recognized the brand and knew the reputation as soon as I saw the ad. Vigor said of the Vega “She’s modest but plenty tough.” The Vega is 6th on his safety-at-sea list which includes several larger boats. She was designed to be a fast, light ocean cruiser and once held the record fastest Atlantic crossing. One of my parameters has always been a relatively full keel with an attached rudder. This greatly reduces the chance of rudder damage as the rudder hides behind the keel as it goes through the water. Bella was a hidden gem on Craigslist. She is not set up for how most people would sail, but fits my plans to a ‘t.’ December too was a good month to buy a boat as there were practically no other shoppers to compete with. I am super, super - super duper - happy with how she sails! But that’s getting ahead of the story.